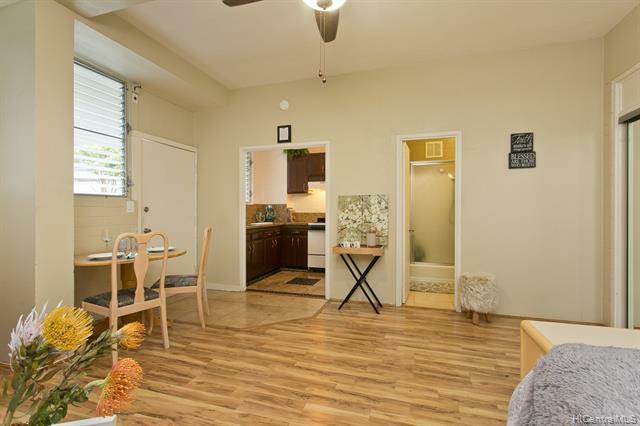 Sweet gem of a property in conveniently located Terrazza: minutes away from downtown, Chinatown, Waikiki, Ala Moana shopping center, Honolulu Museum of Art, Blaisdell, Kapiolani Medical Center, Straub & Queen's Hospitals. Bus to University of Hawaii at Manoa, or Downtown business district stops directly outside. Close to Bike station. 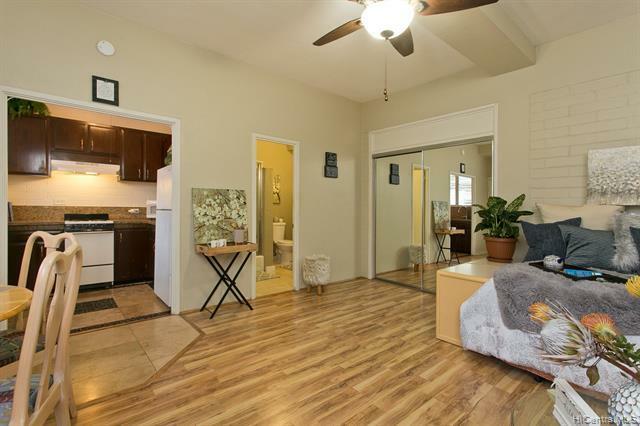 Spacious studio with kitchen aclove setback, high ceilings, wood laminate floor! 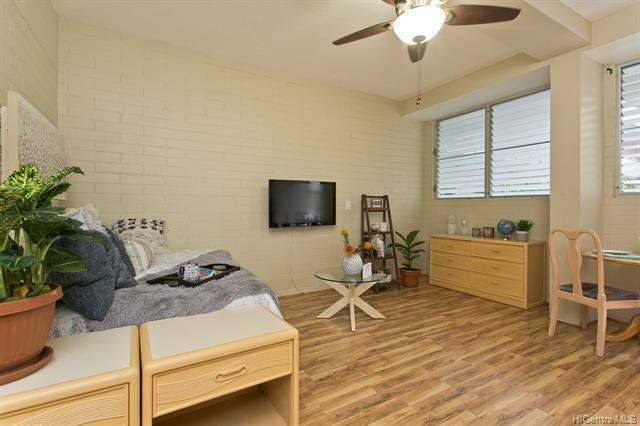 Only unit in Terrazza with no neighbors above (laundry room) or adjacent (site manager) to unit. 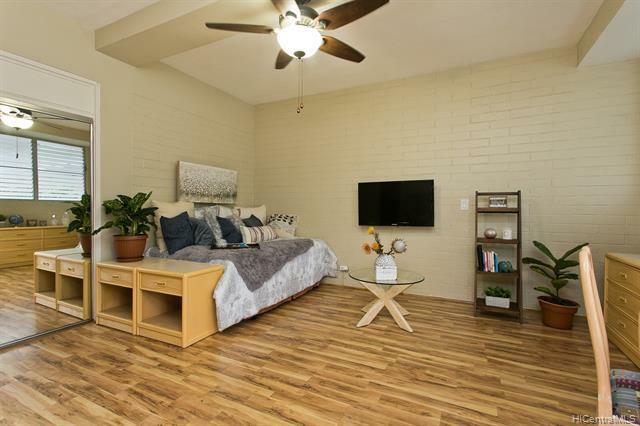 This property provides you with gracious living at an affordable price and is pet friendly too (please verify) with pool! Move in or update to your liking.